It is 3:47AM eastern standard time in Detroit, and Sherard Ingram is smoothing out the microscopic kinks in his latest composition. While the focus of his finessing would not be audible to the average ear, his consistent drive to weave a distinctive techno masterpiece is the thread that has captured the attention of alternative audiences worldwide. Whether he is sharing his unconventional techno offerings with crowds in Berlin, Madrid, Glasgow, Amsterdam, Paris, London or at home on U.S. soil; the deep and authentic roots of this electronic visionary's music are undeniable. For Ingram music and passion are interdependent. Nothing inspires him more than creating a sound experience that resonates so real, that it challenges social and cultural boundaries and moves people to explore perspectives beyond the mainstream. Ingram's collaborations with electro pioneers such as Anthony Shakir, Kenny Dixon and Carl Craig has contributed to his solid presence in the world of techno music for close to two decades. 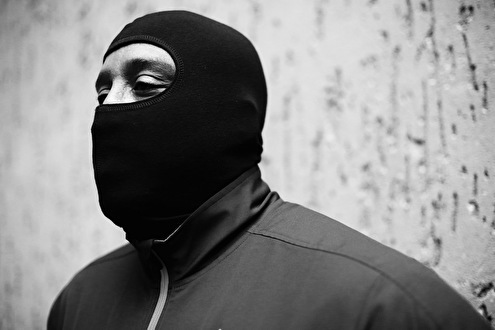 With more than three dozen releases and appearances under the critically acclaimed names Urban Tribe, Mystic Tribe A.I., Drexcyian DJ Stingray and DJ Stingray, Sherard Ingram is an electronic artist, DJ and producer who's footprint continues to expand across Europe and North America. The release of the early techno classic Covert Action on Retroactive (Reissued on Planet E) and Urban Tribe's debut album The Collapse of Modern Culture on Mo Wax sparked much interest in his work. Since 1999 Ingram has toured internationally playing in numerous cities across Europe and further afield. In 2008 he formed the label; Micron Audio Detroit to release the work of fresh, upcoming talent from across the globe. The label's first release Next Wave featured the debut release of innovative, young artist's such as Belgium's, Mariska. wat zou ik hem graag een keer live horen zeg !